I saw it out of the corner of my eye, all brown legs and twitching. I yelled and backed out of the bathroom. It’s incredible I didn’t wet myself, given what I’d gone to there to do. The spider crawled sideways up the wall, further into the bathroom, away from me. I first heard of huntsman spiders because they were the ones used in the movie Arachnophobia. I’ve never watched the entire thing, but I’d watched a couple of scenes while flipping through the channels, looking for something to watch one night. The movie wasn’t for me—I don’t care for spiders. The spider in front of me in the bathroom was the second hunstman I’d seen in my apartment that night. The other was sitting motionless on the ceiling of the main room. This one was much more lively. I knew species of huntsman live all over the world. They’re large and scary-looking, but essentially harmless. Their bite hurts about as much as a bee sting, but doesn’t do any lasting damage. You see, I may not want to watch a silly fictional movie about spiders, but I will spend hours reading up on them. Anxiety is the kind of condition where you tend to ruminate on things that upset you. My fear has led me to know a lot about spiders. Earlier that day, before I realized I had eight-legged roommates, I told my coworker about one of the spider blogs I follow. Catherine Scott, the blogger, is a PhD student at the University of Toronto Scarborough and she was featuring a different spider every day for #spiderweek. That day was fishing spiders (aka dock spiders). Shortly after telling my coworker all my new spider facts, a black and yellow spider descended from the tree canopy above us and almost ended up in my hair. I was having a bad spider day. I managed to go to the bathroom while watching the huntsman skitter about on the far wall. Then I got into my mosquito net sanctuary and warily watched the other spider from the corner of my eye. “I don’t like you,” I said. “Go away.” It ignored me. It took a long time to relax enough to fall asleep. To keep my mind occupied I read a great thread maintained by Museum Victoria in Australia that calms people worried about huntsman spiders. As I already knew, they’re quite harmless. Some species also like living in houses. A lot. Eventually I did asleep and managed not to have spider nightmares. When I woke up, the wall huntsman was gone. The bathroom spider was in some sort of sleep state and when I threw shoes at it and it just stepped over a couple of inches. Not wanting to shower with it, I ended up killing it and feeling guilty. When I came home this evening, the other spider had returned. Another thing I’ve learned from living with anxiety, is that being constantly afraid eventually means not being afraid. The fear dulls to a low hum in the pit of my stomach. Sometimes I even manage to feel brave in the end. I’m not at zero fear yet and I have been checking on it every few minutes to see if it’s moved. My neck is a little sore. But I’m not cowering in my bed or making plans to change apartments. My coworkers reminded me that huntsmen are harmless and eat the cockroaches. I’ve read they eat mosquitoes, too. So if I’m not delighted with my new roommate, it’s kind of like it pays the rent in a way. I’m thinking of naming it. Maybe I’ll even come to like it. Originally posted on the Students Without Borders website. “So, where is Sri Lanka?” he asks after a pause. He looks down, then up, not sure how I’ll react. Will I think he’s foolish or unworldly for not knowing? It’s the question I’m most often asked when I tell people I’m going away. The easy answer is that it’s an island just south of India. I hate this response though. It feels too simple. I don’t think anyone is foolish for not knowing where the country is, but I hope they’ll give me a chance to explain more than the basics. The first thing you should know and one of the reasons I wanted to go to Sri Lanka is that it’s beautiful. Do a Google Image Search and scroll through the photographic proof of how gorgeous it is. But that’s not the whole reason—I’m not quite that shallow—and it’s hard to explain unless you know a little bit more than how to find it on a map. A tea plantation in Sri Lanka. Photo courtesy of Maarten Elings (CC). You should know that I’ll be eating a lot of curry. Which is good because I love curry. I’m not sure how high my tolerance for spice will be, but I can adjust. I’ll take the tears and runny nose in exchange for delicious food. My dream is to eat like this every day. Photo courtesy of istolethetv (CC). It’s also worth knowing that Sri Lanka is incredibly hot and I’m incredibly fair. I expect to be sunburned and sweaty for most of my time there. I’ve been investing in lighter clothing than I would typically wear in an Ottawa summer. Sri Lanka is kind of like a mini Australia in that it has a wide variety of animals, many of which are found only on the island. This is making me nervous, because Australia is terrifying. It’s a toque macaque–he looks like he’s wearing a toupee. Photo courtesy of Kazue Asano (CC). Photo courtesy of Kosala Bandara (CC). That’s partly why I’m going. I’ll be working as a communications intern for Uniterra, a program run by the World University Service of Canada (WUSC) and the Centre for International Studies and Cooperation (CECI). They do development work around the world, helping ensure women and youth have a meaningful place in their societies. They are also trying to set up programs in such a way that people they help can continue working long after the development agencies are gone. I like to tell stories. I’m a master of journalism student at Carleton University, a former editor-in-chief of the Fulcrum, an occasional radio host for CHUO 89.1 FM and a freelancer. My role is in sharing the stories of the work Uniterra does in Sri Lanka. If you’ll follow along, by the end of August we’ll all know more than the outline of an island on a sea of blue. This country will mean something more than its civil war, its proximity to India or even it’s beautiful beaches. Of course I’ll mention geography when people ask where Sri Lanka is. However, I want to let them know there are more important and interesting things than what you can find on Google Maps. You can also follow me on Instagram and Twitter. And in answer to the question, this is where Sri Lanka is. I walked into my office, expecting another thing to be added to my list. Being editor-in-chief of the Fulcrum, a student paper in Ottawa, meant I was doing a lot less reporting than I’d wanted and a lot more of being responsible for other people’s problems. She launched into a series of apologies for bringing it up. She said she was sorry, but she couldn’t work this way. Why was I being so abrupt and unfriendly? It’s not the kind of thing you worry about, having a bad day. Everyone has them. An occasional bad day turned into bad sets of days. Eventually the good days were so rare that I wouldn’t want to go to sleep at night, terrified of losing the normal, good feeling. And I should have been happy. Everything was going great. I had a job I loved with great co-workers; our paper hosted a huge student journalism conference and I got to meet Peter Mansbridge, Diana Swain and Anna Holmes; I got paid to write my first freelance pieces; and I had my first press pass so I could report at the House of Commons. It was all of the things I wanted, but I felt so awful. Not awful about those things, just awful about being alive. I opened my eyes every morning and wished I had never woken up. If this was going to be the rest of my life, I didn’t want it. “Oh god, I’m so sorry Sabrina, I just say what’s on my mind, and it comes out,” she said it all in a flurry and it took me a few minutes to stop crying enough to respond. It spilled out. All of the awful feelings, all of the unhappiness and the desperation. The trying more sleep, less sleep, staying home, going out. How none of it made me feel better or less numb. The night before, in a moment of wanting more than this weak half-life, I had prayed for the first time in a decade. My co-worker felt like an answer to that prayer. She knew a psychiatrist who operated out of her home and could be paid using OHIP. I could talk to someone, finally, without waiting weeks and months for a referral appointment through the university. The last therapist I’d seen through the school had told me to start meditating and quit journalism. That experience hadn’t felt entirely helpful, but I was willing to try someone new. This therapist worked out. Now I take medication and I try hard to go easy on myself. I’ve had to convince myself it’s OK to take breaks and get a good night’s sleep and ask for help. But I was terribly lucky. Most students get six paid therapy sessions through the university and then they’re on their own. If you don’t see eye-to-eye with your therapist, you might have to wait weeks or months to see someone else. This isn’t a personnel problem. My first therapist had the best of intentions. The problem is she’s probably seen thousands of people in the past few years and she’s limited by time and money, just like everyone else in the mental health field. I hope the funds raised by Bell Let’s Talk go toward expanding and fixing a broken system. If I’d had to wait for months to see someone, I’m not sure if I would have believed it was worth it. I don’t know if I’d be writing this blog post. A long life of unhappiness stretching before you is a lot to face. Maybe Andy Wang just wasn’t ready. 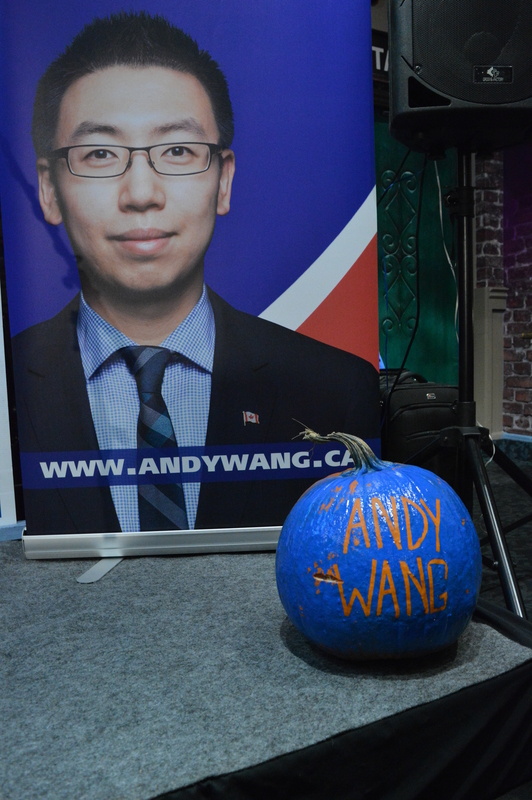 After a close race leading up to the election, Wang, the Conservative candidate in Nepean, lost to Liberal candidate Chandra Arya. The 27-year-old’s age didn’t appear as a deal-breaker from the outset for voters: there’s been a trend of young Conservative leaders in the west end of Ottawa. Former MP and Foreign Minister John Baird won a provincial seat for Nepean at age 25, before moving to federal politics at 37 years old, and Pierre Poilievre first won his federal seat in Nepean-Carleton at 25. Throughout this year’s campaign, Conservative attack ads accused Liberal Party leader Justin Trudeau of being “just not ready” for leadership, due to his perceived inexperience and youth—he’s 43. “It’s a sad day for the country. This young boy that we have as a prime minister is not ready and it’s going to be terrible,” said Darrell Bartraw, a Wang supporter who helped distribute signs for the campaign. Wang and his campaign manager, Ashton Arsenault, who celebrated his 30th birthday with supporters on election night, are both more than a decade younger than Trudeau, while Arya is 52. However, supporters see Wang and Arsenault’s youth as an advantage. “What a great bunch of young kids that worked on this campaign,” said Bartraw. Arriving to the Broadway Bar and Grill on Strandherd Drive to cheers from supporters, Wang didn’t see Arya’s win as related to age at all. The Public Service Alliance of Canada and the Professional Institute of Public Service of Canada targeted Nepean as a riding in which their members could have an influence and encouraged them to vote for anyone but Stephen Harper. PSAC has around 2,700 members in Nepean while PIPSC has about 3,300. Harper wrote an open letter to the public service on Oct. 1, expressing gratitude and support from the party, as well as stating that unions have made misleading statements about sick leave and pensions. 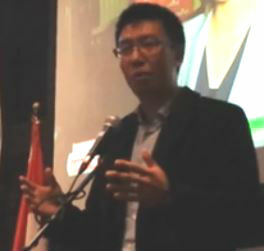 Wang joined Poilievre and other local Conservative candidates to publicly release the letter at a press conference that day. However, it didn’t seem to be enough. Arya won his seat in the new riding of Nepean with 52 per cent of the vote. Pierre Poilievre’s riding split in two this year, and he stayed on in Nepean-Carleton, while Wang, his former constituency office manager, represented the Conservatives in the new riding of Nepean. The 27-year-old capitalized on his Chinese heritage to engage the large Chinese-speaking community in the riding—outside of English and French, Chinese, both Mandarin and Cantonese, is the most widely spoken language there. He won as local leader of the Conservatives over Bob Plamondon, a consultant and author, who at 57 years old was a more experienced contender for the position. While Wang said he would be taking a break with his wife following the federal election, he said he still intends to stay involved with the Conservative Party. “I still believe in the message, I still believe this is what we need to fight for and four years is not very long,” he said.